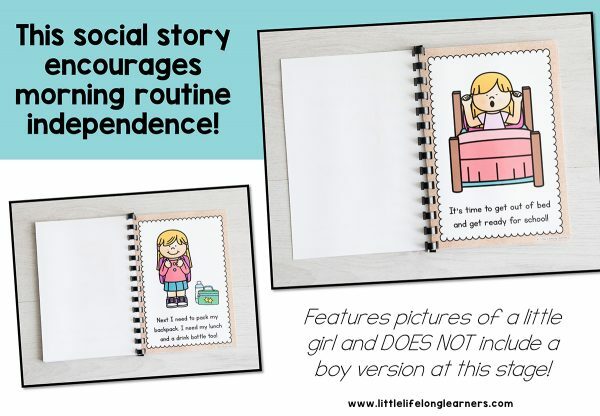 Help your little learner get ready for school each morning with this simple social story! Help your little learner get ready for school each morning with this simple social story! 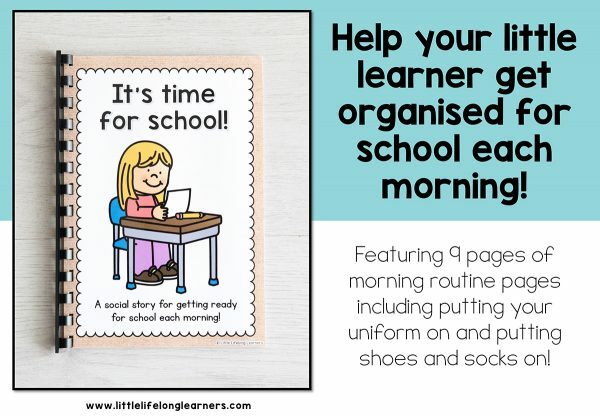 Featuring several morning routines, your little learner will be independently and confidently getting ready for school in no time! Children love routine, so why not support them with a little story each morning to remind them what jobs need to be done to get ready for school! This social story is especially helpful for children starting school for the very first time. It’s time to get out of bed and get ready for school! First I need to get dressed into my uniform. Next I need to brush my hair. Now it’s time for me to eat breakfast. Yum yum! Then I need to brush my teeth so they are nice and clean! After that, I need to put on my shoes and socks. Next I need to pack my backpack. I need my lunch and a drink bottle too! Now I’m ready to go to school! Hooray! Please note, this is a girl version and does not feature boy clip art at this stage. Simply print the pages, laminate and bind into a little book. If you don’t have a binding machine, you can punch holes down the side and secure with split rings or even ribbon. You could even print on cardboard and secure with staples. You might even like to print four-to-a-page and stick them to the fridge to remind your child of the jobs that need to be done before school. They will love helping sort the pictures into the right order. Be sure to check out my Daily Routine cards too!